Where can I buy a tailgate? Can I buy a Complete Engine? Where Can I Find ECU's? Where Can I Find Parcel Shelves? Is There Really A Mick? Where can I buy Doors Or Door parts? Which Roof Bars Do I Need? Which Snow Socks Fit My Car? Snow socks are applied to the drive wheels of your vehicle to help the wheels catch grip on snowy roads. We have added a video below where you can see how they are installed. To find the correct snow socks for your vehicle you will have to know the radius, width and the profile of your wheels. In the UK and Ireland we get very sporadic wintery conditions and if we do get snow and ice it usually only lasts for a couple of weeks. for most of the time your normal tires are more than adequate for winter driving. For the 2 or 3 weeks of the year that we do get heavy snow, having an inexpensive solution to keep you safe and provide extra grip in the snow and ice is and excellent idea and thats where Weissenfels Snow Socks come in. Weissenfels Snow Socks are an ideal, cost effective alternative to expensive Winter tyres or Snow Chains. Weissenfels Snow Socks are super-strong textile socks which you slip over the driving wheels to provide the grip you need on ice and snow. They’re reusable, take up minimal storage space, provide amazing levels of traction and are perfect for sporadic wintry conditions. Snow Socks are tailored for situations where the duration of icy & snowy roads is normally short and does not justify special tyres or snowchains. The big advantages are that they are extremely quick and simple to fit. 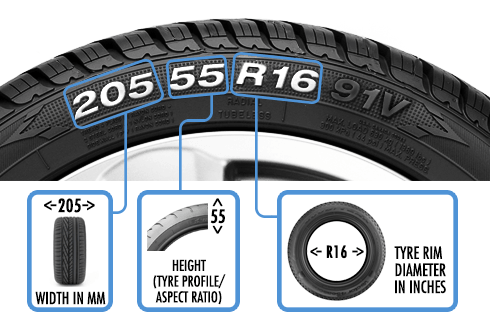 There is nothing to chafe around the back of the tyre making them ideal for cars with limited clearances around the wheel. Fitting is also made easier since there is nothing to adjust and they automatically self centre as you drive. Since there is no metal chain in contact with the road, the Weissenfels Snow Sock is totally smooth running with absolutely no vibrations or noise being apparent. How does the Weissenfels Snow Sock work? Rather than cutting into the snow and ice with deep treads, Snow socks use friction to provide the grip. Snow and ice sticks to fabric and Weissenfels Snow Socks are made from a technical fabric which sticks to the snow. The specially developed textile “wicks away” water that’s found between the ground and the tyre thereby maximising the friction grip. Snow Socks provide an ideal solution to get you home, do the school run or Get you to that meeting. Manufactured in northern Italy the Weissenfels Snow Sock is ideal for the cold winters, where we experience sudden and sporadic snow fall, usually short lasting, but so often the cause of massive disruption and inconvenience while it lasts. Summer tyres are not suitable for snow, ice and sleet conditions – the Weissenfels Snow Sock is the ideal cost effective “always have in the car” solution. Stop the vehicle and apply the handbrake. Fit SnowSock to the driving wheels of the car, starting at the top of the tyre and working downwards. Put the remainder of each ‘Sock’ into position. The Snow Socks will automatically self-centre when you start driving. There’s only one possible way to fit the Snow Sock and no practice is required. There’s NO need to turn off any electronic traction and stability devices, e.g. ETS, ASR, ESP, DSC. Drive off gently, avoiding wheel spin. Extreme acceleration and braking could damage the product. Fold neatly and put back in to storage bag for reuse.